This. 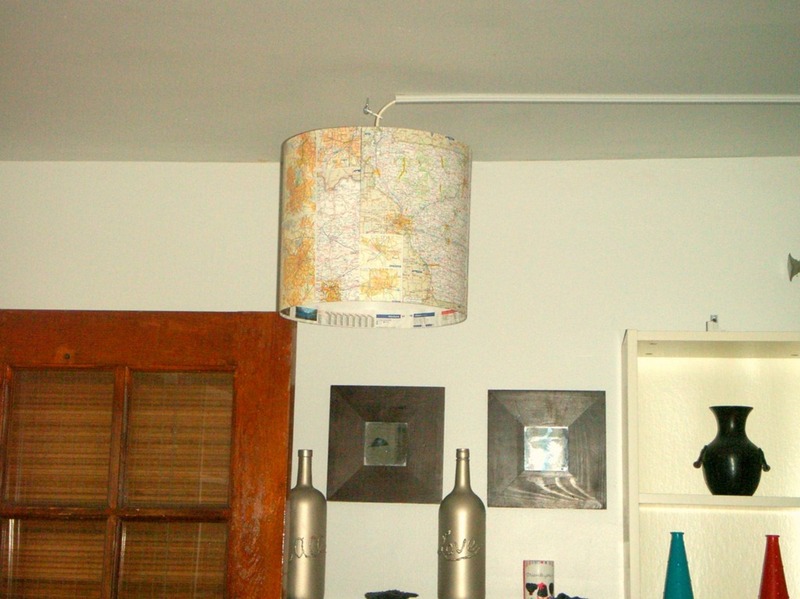 Coupled with my holy-grail search for more lighting in my living room, I knew this was a D-I-Y project in wait. My family room never seems to be lit well enough, with the lack of ceiling lights and all. I had a couple of these Ikea lampshades on hand, so I thought I’d try my hand at making it, as the shade is the same shape. Seriously, how did I not know about Dimma? In all my years of shopping Ikea and buying their switchless Hemma Cord, how did I not know that they sold a (cleverly named) Dimma dimmer cord to go with it? I could’ve saved myself the agony of figuring out exactly where to wire a switch to the Hemma cord all this time. What’s really cool about the Dimma switch is that no special bulb is required. You control the brightness of the light with this device. 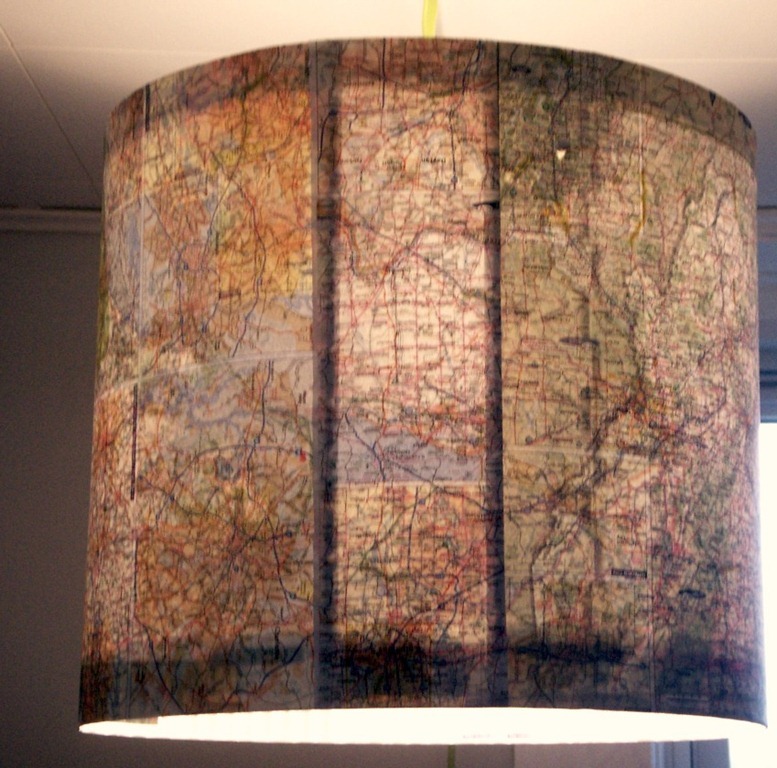 Anyway, the first thing I did was to get to work on making my map lampshade. I got an atlas from the thrift store for about 50cents and took out the middle sheets. My original idea was to mod-podge the heck out of the shade. 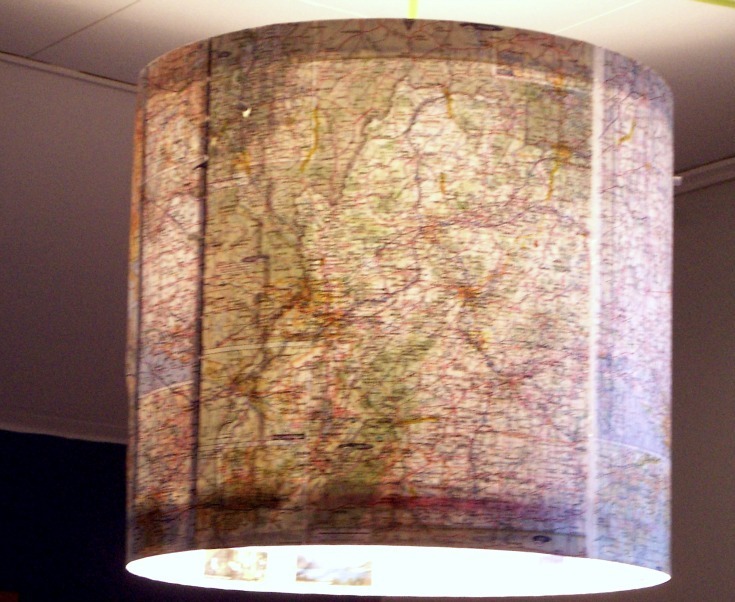 Once the mod podge dried to my satisfaction, I proceeded to fold the LOBBO lampshade into shape…at which point the mod-podged map peeled clean off. I thought my project was dead in the water for a few days, until google taught me that hot glue is the adhesive of choice. For the unfamiliar, the Lobbo Lampshade (like just about everything else in Ikea) comes flat-packed. What you get is a long flat piece of whit plastic shrink-wrapped onto a long flat piece of cardboard. 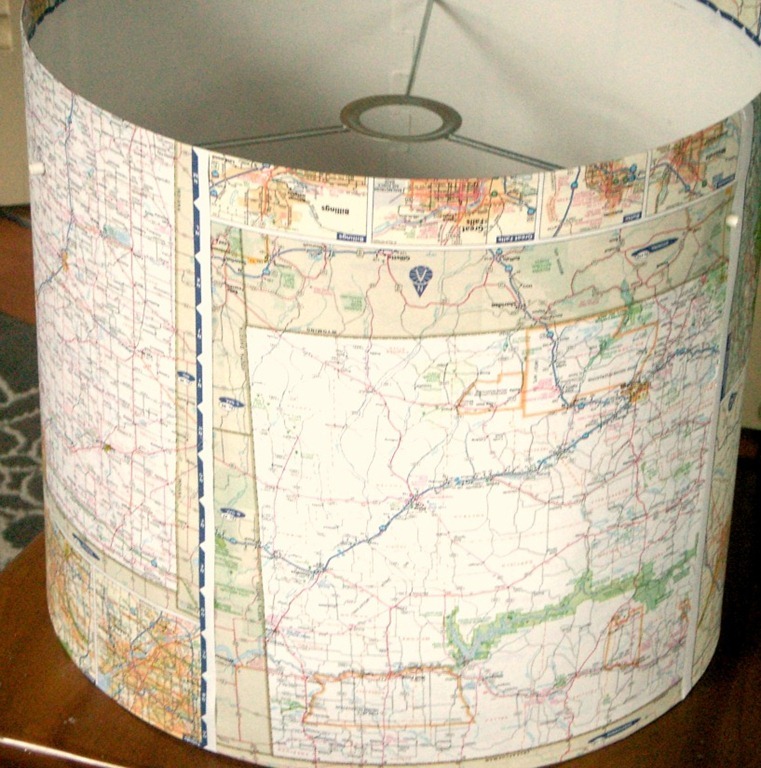 The shade folds up into the circle you see above and clicks together with the die-cut tabs on the ends. You then place the 3 prong piece of metal into the pre-drilled holes to connect your light bulb and cord. Clear as mud? good. It is both stupid and ingenious at the same time. Gotta love those swedes.